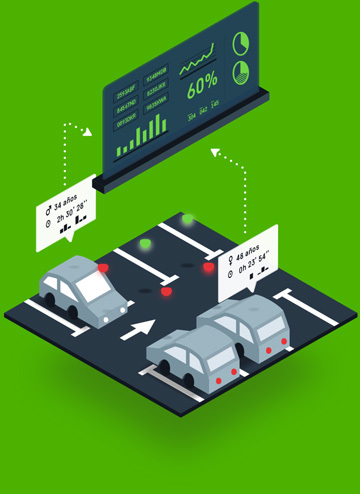 3PGS is the only parking guidance system that includes a mobile app with which, on the one hand, your customers can search where they have parked their vehicle through indoor GPS, and on the other hand, you can collect statistics of these customers, such as their recurrence, time of stay, etc. 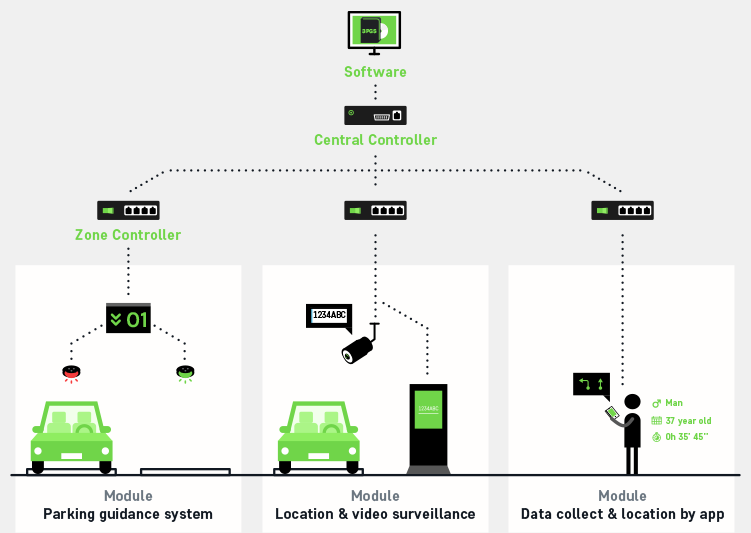 A modular system that will improve customer comfort, reduce car park traffic, increase the security and collect user data. Parking guidance system module. Mark free spaces to save drivers time, increase their comfort and decongest traffic. 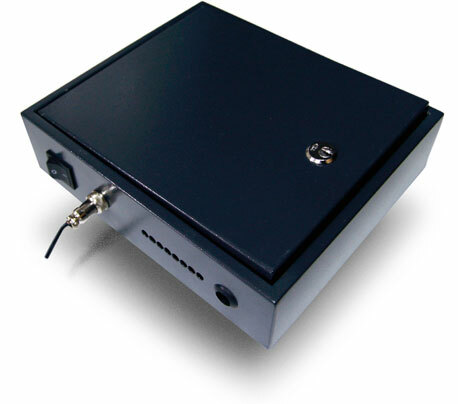 Location and video surveillance module. With a CCTV, users will be able to search the space where they parked their vehicle. These cameras will increase the security of the car park. Data collect and location by app module. With an app, users will be able to access the car park and locate where their vehicle has been parked. The app collects user data, making it a powerful tool for getting to know and build loyalty. The purpose of the 3PGS guidance module is to point out the available parking spaces to the drivers, allowing them to find where to park in seconds, decongesting traffic inside the car park and giving customers more comfort. 3PGS recognizes whether a space is available or occupied by ultrasonic sensor that has a LED light. Over each space a last technology sensor is installed, indicating its status on real time. 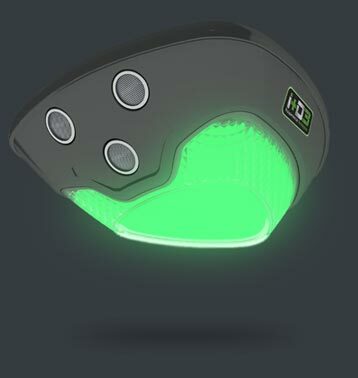 This sensor includes an LED light that informs the state of the space to the drivers by green / red colors. This allow drivers to locate a free space quicky. Our system integrates a series of LED signage panels for the car park, helping drivers to find an available parking space. Installed in the car park’s aisles, our panels shows the available spaces in a specific direction. 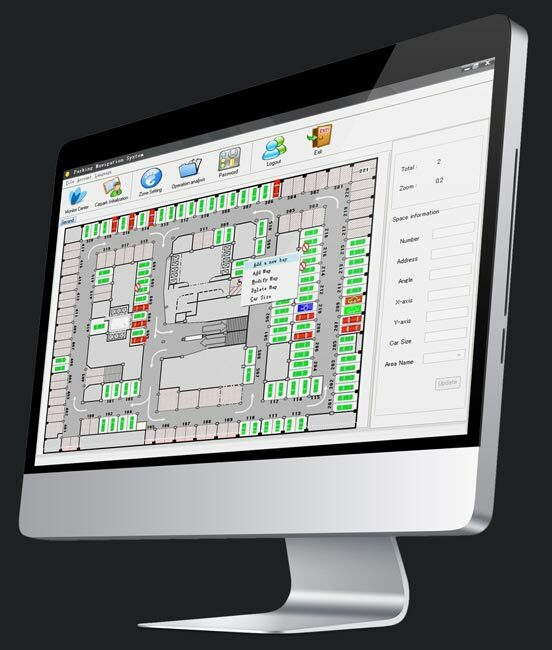 Parking guidance system module is controlled by the 3PGS software. This software receives all the information from the Central controller to which sensors are connected. This will allow to control each space and know if it is available in real time, showing all on a map. The map allows to consult all the data fast. It also provides statistics of the volume of vehicles that access and leave, making ease the monitoring to the staff of the car park. 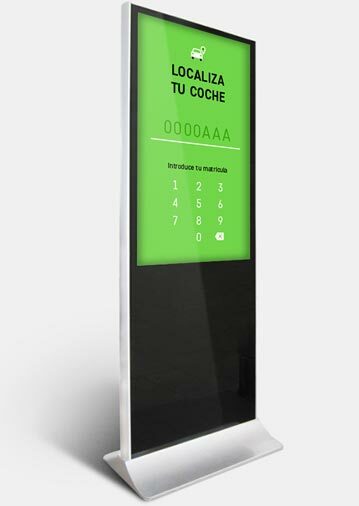 This module allows customers to know in which parking space they have parked the car, improving comfort and saving time. In addition, this module has the objective of increasing the car park security. 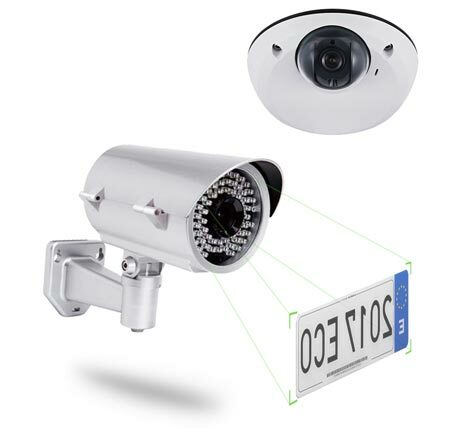 High definition cameras are installed in the accesses of the car park and in the aisles. Cameras works as a security system, recording everything that happens. Thanks to our LPR system, cameras will recognize the license plate of each vehicle and the area where it is parked. Drivers will look for the place where they have parked at the point of search, introducing the license plate number. Our point of search has a simple interface, which allows the customer to write the license plate of the vehicle throught the touch screen. 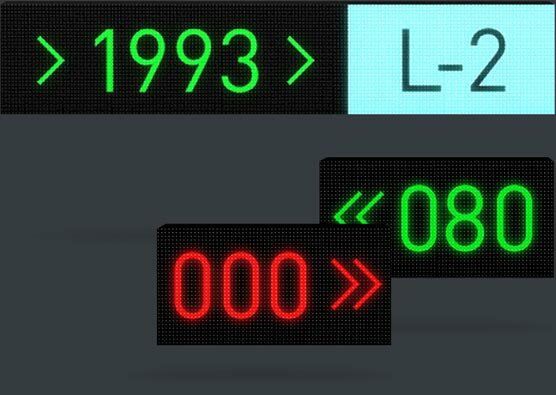 The display will show instantly the number floor and space in which the vehicle is parked. 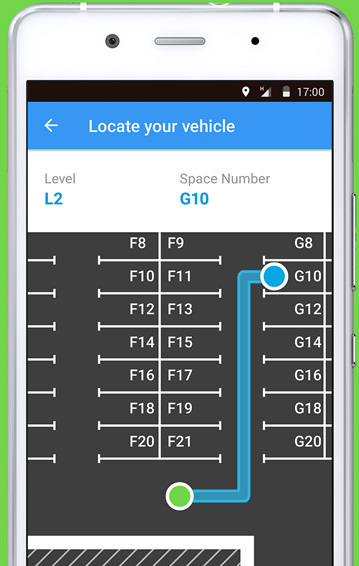 This module allows to use a mobile app from which drivers can access, pay the stay and locate the space where they parked. The app will also collect customer data for get very interesting metrics and statistics. Installing a Bluetooth device in the barrier, users can access the car park with the smartphone and pay the stay. Users can see in which space they have parked, showing a map of the car park. In addition, if the parking guidance system module is installed, the app will guide the driver to an available space. The main advantage of using an app is to collect customer data, being a powerful tool to obtain information of the customer’s profile, visit frequency, stay time, etc. All these data will allow to get to know real customers and their habits, improving their experience. You will know the gender and age of your customers, obtaining real data. Analyze how much time drivers are parked, at what days and hours visit the installations and how often. With the data collected, they will be analyzed and it creates statistics useful for the car park. The zone controllers obtain data from ultrasonic sensors, controlling the state of the car park spaces. All this information is sent to the Centrar controller. The zone controller has an indoor GPS device inside that allows to identify the cars that access to the car park by the mobile app. This GPS device allows to make an interior plan of the car park, that will be shown in the app. 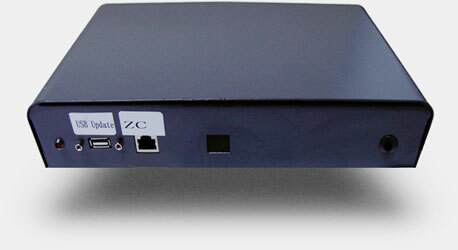 Central controller is in charge of obtaining the Zone controllers’s data, processing and sending them to the PC, so the software collects all the data.